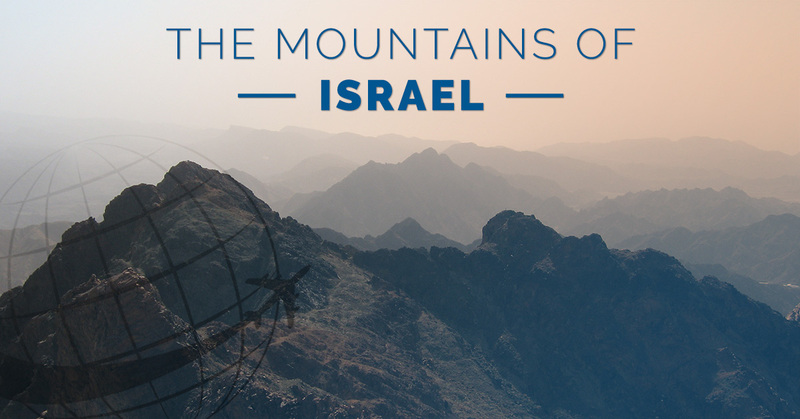 Whether you’re looking to hike, bike, and eat your way through Israel, or you’re interested in a Jewish Heritage Tour to connect with your roots, you’re sure to see many of the mountains found across this diverse country. Many of the mountains in Israel have deep historical and religious significance to many groups. They can also be climbed, so that you can experience them in their full glory. Many of the itineraries that are created by World Express Travel for your travel enjoyment will include a stop at at least one of these well known locales. And if you don’t think you want to see one of these historic mountains during your Jewish Heritage Tour and adventures in Israel, think again. This mountain range located in Northern Israel is known for being the home of the city of Haifa. You will see beautiful limestone and flint cliffs that rise above the valley when you visit this northern area. Along with Haifa, there are many other towns that are present in the vicinity that are also worth exploring. The area surrounding Mt. Carmel is also a UNESCO biosphere reserve that should not be missed. Hike the area and spend time wandering Haifa to get a sense of the beauty that is northern Israel. This mountain, commonly called a hill, is found just outside of the main city of Jerusalem. No one is quite sure where the name Mt. Zion came from, but in the Hebrew Bible, the area was referred to as the City of David, and it’s now commonly known as the Temple Mount. What is interesting about this mountain is the constant moving of the city around it and the renaming of different sections based on the period in history. When you travel to Israel, you shouldn’t be afraid to visit some of the cities outside of the standard country borders. With the right group and guidance, a trip to places, like Mt. Gilo and the surrounding cities, can be quite enjoyable. Mt. Gilo sits just south of Jerusalem on the road towards Bethlehem in the West Bank. It’s worth visiting the area and some of the local towns. Don’t forget to keep your passport on you, because when you cross borders, you’ll need it to get back into the main part of the country. To be fair, no one actually knows what mountain in Israel is the Mountain of the Beatitudes, where Jesus was said to have given his sermon on the mount. However, for the last 1600 years, Mt. Eremos has been recognized as the spot. This mountain is located on the northwest shore of the Sea of Galilee, and has been home to many different churches, monasteries, and pilgrimage sites over the last several millenia. This area of Israel is one of the most popular tourist sites in Israel due to the rich history, incredible rock formations, and the UNESCO World Heritage Site designation. With unique architecture set up on the cliffs and deep historical value, Mt. Masada should not be missed on a trip to Israel. ©2017 World Express Travel- Do not copy. All rights reserved.